Josh Farrar is searching for Sergei Kostitsyn at The Hockey Writers. Robby Stanley is wanting more out of all the veteran forwards at Hockey Night in Nashville. David Singleton takes a look at the Predators' potential need of a top scoring forward from a little bit different angle. Paul McCann previews tonight's edition of SlapShot Radio and directs us to a news report on Brent Peterson's recent surgery. Kris Martel moves from Bobby Ryan to Jerome Iginla as a potential trade acquisition for the Predators. I like the Ryan idea better. AJ discusses that hockey is life at Preds AJenda. The Milwaukee Admirals rewarded Ian Hebers with a win in his head coaching debut. Here is some video from TSN of some pregame action for the Predators in Calgary. Chewing gum somehow makes you smarter as studies have proven through a process called "mastication-induced arousal." Last night's game in Calgary was a typical match between the Predators and Flames where there was plenty of defense and excellent goaltending at both ends of the ice. The last time the teams met, Pekka Rinne had a 2-0 shutout but this time the tables were turned with Miikka Kiprusoff picking up the 1-0 blanking of the Predators. A redirected shot by Derek Smith was the only score in the contest and was the first goal of Smith's NHL career. One of the few highlights of the broadcast came during the first intermission when Jordin Tootoo's nose started bleeding profusely during his interview with Terry Crisp. The Predators have now lost five of their last six games but it is somewhat encouraging to see the defense and goaltending return the last two nights. The team will play in Vancouver on Thursday night before returning home to play Buffalo on Saturday night. This weekend's game begins a run where 14 of the team's next 19 games will be in Smashville so it will be an important time to be point collectors. The Nashville Predators lost to the Calgary Flames 1-0 when they got involved in a tight defensive battle and came up short at the Scotiabank Saddledome on Tuesday night. The Predators were able to produce zero offense in spite of playing an aggressive forechecking game for most of the contest. The only goal from either team came from Calgary's Derek Smith, his first in the NHL, at 18:50 in the opening period. Miikka Kiprusoff recorded his 41st career shutout while stopping all 26 Predator shots. Pekka Rinne was the hard luck loser as he continued to be snake-bit against the Flames as he played well enough to win while stopping 28 of 29 Calgary shots. The Predators left after the game and headed to Vancouver where they will play the Canucks on Thursday night. The first results from NHL fan balloting for the All-Star game has been released and Phil Kessel leads the way. Ken Campbell is ready to move the Coyotes to Hamilton. Where have we heard this before? Does anyone find it odd that the NHL Board of Governors' meeting is set for next Monday and Tuesday where re-alignment is supposed to be finalized and the Phoenix situation is still unsettled? Ryan Porth is beating the drum for an "Olympic" point system in the NHL. I agree fully. Tonight's game of the night is Pittsburgh at New York (Versus, 6:30 CST) but folks will also be watching the coaching debuts of Kirk Muller (Florida at Carolina, 6 p.m., NHL Center Ice) and Dale Hunter (St. Louis at Washington, 6 p.m. NHL Center Ice). James Mirtle takes a gander at three years of Brian Burke in Toronto. Steve Mason is healthy enough to come back and play but Curtis Sanford appears to have claimed the Columbus net. It looks like Patrick Eaves will be limited to a liquid diet while recovering from the puck to the jaw from Roman Josi on Saturday. A Florida man had a big day when he tried to shoot his lawnmower with a pistol, fought his 18 year old son, and got Tased three times during a drinking binge. He claimed that "Fighting is what rednecks do" when asked for an explanation for his carrying on. The hottest topic locally in the blog world revolves around the potential availability of the Ducks' Bobby Ryan via trade. Robby Stanley asks if the Predators should be interested in Bobby Ryan. Seth Lake has extensive discussion on the topic at On The Forecheck as does Jeremy Gover at Section 303. Ryan Porth has a round-table discussion and The Odd Man Rush comes off a three month hiatus to throw in his two cents. The Calgary Flames take a shot at what the lines will look like in tonight's contest with the Predators. They should show it to Barry Trotz who would probably laugh and reshuffle the deck on them. Puck Daddy takes the refs to task for the five minute major call on Ryan Jones for his hit to Blake Geoffrion. The angles shown in the video make it look like much more of a legal hit than I thought last night. Geoffrion himself calls it a "hockey play" today. Harrison Mooney also has a hockey hug with a pair of Preds that is rather funny. Hockey's Future has positive words on Craig Smith and negative ones on Jon Blum in this month's On The Rush post. They also have a video profile of Pred prospect Ryan Ellis from the NHLPA showcase event. A site that we like to follow, Stadium Journey, makes a pit stop at the US Bank Arena in Cincinnati that is home to the Predators' ECHL team. Jeremy Sargent compares Pekka Rinne to Miikka Kiprusoff. 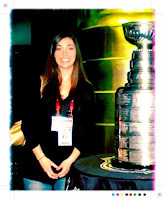 Stephanie Muraro says good-bye to Kirk Muller at the Admirals' Examiner. In the Swedish town of Gavle, a giant 13 meter tall "Christmas Goat" has been erected every year since 1966 and a battle ensues between goat supporters and arsonists who want to burn down the giant straw creature. The Nashville Predators announced the recall of Kyle Wilson from Milwaukee today. He had played 34 games at the NHL level with Washington and Columbus and was signed as a free agent by the Preds during the off-season. The move became necessarily after Blake Geoffrion left last night's game in Edmonton and did not appear ready to return in the next few days. The injury left the Predators with only 20 healthy bodies so a recall appeared likely. The Nashville Predators truly played "Predator Hockey" in last night's 2-1 win in Edmonton against a young team that had given them fits in two prior games this season. Jordin Tootoo went toe to toe with the young Oilers and was the face of the team as he gritted his way through the game in spite of collecting a pair of penalties. He was also a plus one and had the key assist on the game winning goal. Goals came from Shea Weber and Nick Spaling in the win and Anders Lindback was the goalie we knew that he could be once that he was given a chance to play in gaining the victory. One down side was that Blake Geoffrion received a hit to the head and/or shoulder from ex-Pred Ryan Jones that could result in a call from Brendan Shanahan and may keep Blake sidelined for an extended period. The Nashville Predators made the short 175 mile hop from Edmonton to Calgary last night after a huge 2-1 win over the Oilers and will head west to Vancouver after tonight's contest with the Flames. In between flights, the Predators hope to pick up another pair of points from the slumping Flames. Calgary is 5-8-0 in November and had lost three games in a row before surprising the surging Minnesota Wild with a 5-2 win on Sunday at the Xcel Center. Calgary swept the the season series last year against Nashville, limiting the Predators to a pair of points, that came from an overtime loss on October 19, 2010 and a shoot-out loss on February 11, 2011, both at the Bridgestone Arena. Earlier this year, on October 22, the Predators broke the Flames winning streak with a 2-0 shutout by Pekka Rinne in Calgary. It was redemption for Rinne as it was his first career win against the Flames as he went into the game with a 0-4-2, 3.16, .898 record against Calgary. Pekka Rinne (10-7-4, 2.47, .925) will be in net again tonight after Anders Lindback got the start (and win) last night in Edmonton. It is expected that Miikka Kiprusoff (9-9-0, 2.46, .916) will be in the Flames goal as usual. The Flames are led in scoring by Alex Tanguay (4g, 12a), Olli Jokinen (5g, 9a), Curtis Glencross (7g, 6a), and Jerome Iginla (7g, 4a). They are plagued by plenty of minus players which is the result of a 2.27 to 2.73 goals for/against differential. Tonight's game is another must win for the Predators who have aspirations for the top of the Western Conference and sit just outside the top eight with 26 points in ninth place after last night's win and are needing every point possible in the highly competitive Western Conference. Other Predator-Flames previews comes from Amanda DiPaolo, Robby Stanley, Dirk Hoag, Paul McCann, Predatorial, The Tennessean, and Predators.com. For the Flames' previews, check out The Calgary Sun, The Calgary Herald, Matchsticks and Gasoline, FlamesNation, Battle of Alberta, and Hit the Post. The Nashville Predators played with serious determination to defeat the Edmonton Oilers 2-1 in a solid effort to break their four game losing streak on Monday night at Rexall Place. Nick Spaling had the game winner in the third period in the comeback win. Anders Lindback played the game that he needed to play, stopping all but one of the 18 Oiler shots, to pick up his first win of the season. Nikolai Khabibulin played an excellent game, stopping 29 of 31 Predator shots, in taking the loss. It was the best all-round effort by the Predators in several games. The middle period was very disjointed, with several penalties, but the Preds hung tough and came back with a goal to tie the game. The Predators had contributions throughout the lineup with everyone getting shots on goal except for Sergei Kostitsyn, Roman Josi, and Blake Geoffrion, who's time was limited due to injury. Watch for a meeting for Ryan Jones with Brendan Shanahan on Tuesday for the hit to the head on Geoffrion. Jordin Tootoo deserves special mention for his effort at being a nuisance to Edmonton all evening while getting four shots on goal and logging three hits for the evening. Another highlight was Lindback picking up the assist on Shea Weber goal that tied the game. The Predators left immediately after the game for the short trip to Calgary where they will play the Flames on Tuesday night. As a result of the fruit-basket turnover in the coaching arena this morning, with Kirk Muller leaving the Admirals and going to the Carolina Hurricanes, Milwaukee promoted Assistant Coach Ian Hebers to the head coaching position. One of the two big hockey news stories this morning is that Paul Maurice is out as coach in Carolina and the rampant speculation is that Milwaukee Admirals Coach Kirk Muller is going to be named the new head coach of the Canes at a press conference later today. Josh Cooper is hearing that Ian Hebers will be the interim replacement for the Ads. Added: Josh caught up with David Poile for the full story on Muller/Hebers. Smashville 24/7 has an interview with Predators' defenseman Kevin Klien previewing the three games in Western Canada. Ryan Porth has a great post where he gets 19 Predators to divulge their favorite cities to visit. This was a long process to put together. Josh Cooper has a note about Francis Bouillon's ailing groin that he tweaked against the Wings on Saturday. Roman Josi's timing for recall looks to be very fortuitous. It looks like Ryan Ellis is way down the list for recall possibilities. Also included in the post is the lack of productions from the Preds' forwards. David Boclair discusses Pekka Rinne's run of starts could be coming to an end. As expected, Nicklas Bergfors has probably left North America for the final time since he has signed with Ak Bars Kazan of the KHL. We wish him all the best. The Hockey Writers calls for more leadership from the Predators' top players. Here is a web site that encouraging you to chill out for two minutes and not touch you mouse. That is definitely a challenge for most unless you are Peter Gibbons in "Office Space" and like to space out in front of your computer for long periods of time. The Nashville Predators arrived in Edmonton on Sunday afternoon after losing 4-1 to a near perfect Red Wings team on Saturday night. The Preds are in dire need of a win tonight against the Oilers (FS-TN, 8:30 p.m.) in order to right their sinking ship. The Predators are on a four game losing streak that started against Columbus on November 19 in an overtime loss and continued last Tuesday in Smashville against this same Oilers team in a 6-2 loss. In that game, the Predators came out completely flat and Barry Trotz removed Pekka Rinne after the opening period so that he would avoid the additional humiliation of playing behind a team putting forth a marginal effort. The Predators ran into a very strong Minnesota Wild team the following night and lost 3-2 in a game where the Preds started slow and were the victims of a freak play with an odd bounce off a stanchion that proved to be the game winning goal for the Wild. All that being said, the Predators are in need of a break (and a win) to get back on the right track. It is not clear who will be in goal for either team. The Predators are playing back to back games and the plan last week was for Pekka Rinne (10-6-4, 2.39, .927) and Anders Lindback (0-1-0, 3.48, .890) to each start one contest in the prior back to back situation. That was derailed by the Preds' horrific start against the Oilers. Either Rinne or Lindback could start tonight. For the Oilers, Nikolai Khabibulin (9-4-2, 1.87, .936) has been outstanding this year but Devin Dubnyk (3-5-0, 2.88, .902) has done well against the Predators in his career, going 2-1-1 including the win last week. One area of concern for the Predators in their recent slide is their penalty kill that historically has been one of the team's strengths. In the last five games, the Preds have given up seven goals on their last 19 kills, covering the last five games. It appears that Roman Josi will play his second game as a pro since it was reported that Frankie Bouillon has been sent back to Nashville with a tweaked groin, so the Predators only have six healthy defensemen with the team. After tonight's game, the team will leave immediately for the short trip to Calgary where they will play the Flames tomorrow night, and then move on to Vancouver for a game on Thursday. The Predators will return home on Saturday when they will play the Buffalo Sabres and begin a stretch of 19 games with 14 being at Bridgestone Arena. Special POTG discount tickets are available for all remaining games. Go here and use the offer code preds. For other Predator previews check out Amanda DiPaolo, Ryan Porth, Robby Stanley, Fang Finger, Paul McCann, Predatorial, Dirk Hoag, The Tennessean, and Predators.com. For the Edmonton view check out the Edmonton Journal, Edmonton Sun, The Copper and Blue, OilersNation, and Oil on Whyte. From all accounts, in reading the views of the Detroit writers, the Red Wings played one of their most complete games of the season last night. Unfortunately, the Predators played one of their games where they appeared to be baffled by the opponent on both offense and defense. As well as the Wings were playing, it is unclear whether the Predators could have won on their best night. Roman Josi made his NHL debut as the seventh defenseman and was getting limited minutes until he moved on a pairing with Jon Blum when Frankie Bouillon left in the second period with a "lower body injury." One of the low lights of Josi's debut was the unintentional breaking of Patrick Eaves jaw on a shot late in the game. It was a nice gesture that Josi spoke to him as he was being wheeled out on a stretcher. The Predators will have little time to regroup as they face Edmonton tomorrow night and Calgary on Tuesday. It doesn't get any easier as they move on to Vancouver on Thursday before returning home on Saturday against Buffalo. The game on Saturday begins a critical stretch where the Preds play 14 of 19 games at the Bridgestone Arena. They will need to become point accumulators for the next six weeks as it is the most home heavy portion of the season this year. The Detroit Red Wings played a near perfect home game as they had few mistakes and they bested the slumping Nashville Predators 4-1on Saturday night at Joe Louis Arena. For the Predators, it was their fourth loss in a row and it appears they may have lost Frankie Bouillon, who left late in the second period with a "lower body injury." Roman Josi made his NHL debut as a seventh defenseman, skating 15 shifts in 12:20 of ice time. The Red Wings got two goals from Valtteri Filppula and single goals from Dan Cleary and Henrik Zetterberg. The Predators lone goal came from Jack Hillen. Jimmy Howard started his 16th game in a row and stopped 18 of 19 Preds shots. Pekka Rinne was hung out to dry as he gave up four goals on 37 Wings shots. The Predators couldn't leave town quick enough as the left for Edmonton to prepare for Monday's game with the Oilers. Ryan Porth interviews Pekka Rinne who previews tonight's Predators game in Detroit. Robby Stanley compares the play of Patric Hornqvist to fellow Swede Tomas Holmstrom of the Wings. Greg Wyshynski and Jeff Marek catch up with Brian McGrattan yesterday on their daily podcast. Go here and click on the November 25 edition at about the 17 minute mark to listen. Dirk Hoag has his Saturday Breakfast links for a good round-up of Preds and NHL news. The Predatorial calls for keeping the Wilson, Smith, and Hornqvist line intact. Section 303 has a "best of" edition for Thanksgiving weekend. The Milwaukee Journal has another entry in the day in the life of Mark Van Guilder. Local hack TV guy, Phil Williams, can't get an interview with Predators officials because of his repeated editing and misrepresentations in the past so instead, he attacked fellow bloggers' row member Amanda DiPaolo in a post this morning on the stations website. Folks should recognize William's actions as being from very small minded individual who wants nothing but dramatic headlines regardless of the facts and is willing to stomp on anyone to try to try to back up his failed positions. The guy has zero credibility! Here are the true facts from DiPaolo who is credentialed by the National Hockey League as well as the Predators and travels North America covering major hockey events. And what is it that Phil Williams has ever accomplished? The Nashville Predators announced the recall of rookie defenseman Roman Josi before practice on Saturday morning. He participated with the team in practice but it was unclear when he might see time in the lineup with the Predators. When Preds' Head Coach Barry Trotz was asked specifically about what Josi brings, he responded, "A seventh defenseman." Josi was equally unclear about getting into the lineup, "I don't know what the plan is for the coach so I'll try to give it everything in practice and if I get a chance to play I will try my best." Trotz explained further, "The whole plan was to have him come up and get him acclimated to playing. I've only seen him play maybe a game and a half. Every time I've tried to see him play, he's been hurt." Josi sports the ultimate hard luck story. Last season, he was injured in the first rookie game and missed the remainder of camp and the first part of the season in Milwaukee. It was his first year in North America on the smaller ice surface, and he managed to play 69 games with the Admirals and had six goals and 34 assists as he learned a new style of play. He also had a goal and six assists in 13 playoff games. He was paired with Jon Blum much of the time before Blum's recall in February. Blum described Josi's game. "He's a great skater. He really skates the puck out of trouble and is real poised. He can move the puck up and has a good first pass. He's a good offensive player so that's a bonus for us." Heading into camp this season, Josi was probably the odds-on favorite of the pure rookies to make the squad out of camp. He received a concussion early in camp and has been sidelined up until a few weeks ago when he began working out. Josi has played five games with Milwaukee in the last couple of weeks and claims to have gotten his conditioning back. He had a goal and three assists and 19 shots in his brief stint with the Admirals. Generally, when the Predators recall players it is with an intention of inserting them into the lineup in the next game. As Trotz continued to discuss Josi, it truly sounded that in this instance as if they really wanted more of a look at his play. "I have a good handle on what he can bring. I've seen him in the World Championships so I have a good idea on what he is but the other players need to see what he can bring and we just want to see where he is with his overall conditioning." When pressed on when Josi will see game action with the Predators, Trotz simply stated, "We'll work him in somewhere." Fans have clamored to see Junior hockey sensation Ryan Ellis in a Predators uniform. When Trotz was asked why Josie was called up first, he said with no hesitation, "He's been the best one, no other reason." For Josi, it has been a long road to make it to an NHL roster. He is 21 and was drafted by the Preds in the second round, 38th overall, in the 2008 NHL Entry draft. He played in the World Juniors as well as the World Championships for Switzerland several times and spent over three seasons with SC-Bern in the Swiss League before coming to North America last season. "I'm really excited to be here and healthy after a couple of games in Milwaukee," stated Josi. "It was bad luck, last year in the first practice (wrist), and this year first practice I got hurt (concussion) and that was tough. I felt good before camp and then I got hurt but I feel good now and I'm excited to be here." You never quite know what the plan is with Barry Trotz as he plays his cards close to the vest. One thing is certain. Roman Josi will see time in a Predators uniform this year and is considered the defenseman that is the most NHL ready at this juncture. It will be interesting to see how the recall plays out. The Nashville Predators are in Detroit, where they will play the Red Wings tonight at 6 p.m. CST (FS-TN) for the first time this season. The Predators had been red hot, going 7-2-2 in one stretch, but have now lost three games in a row and played their worst game of the season on Tuesday against Edmonton. They played better in a loss in Minneapolis on Wednesday. Barry Trotz felt that the Predators could have won the game against the Wild with a few breaks. "We played a hundred times better (on Wednesday) than we did the night before. Minnesota is the top team in the conference and we made a couple of errors." "They got a little bit of a lucky bounce, where it hit the stanchion and Peks gets caught in between and lo and behold we are down. With any luck, we could have had four power play goals that game." Barry Trotz speaks on Friday from the Centennial Sportsplex before leaving on the road trip to Detroit and Western Canada. Topics included the Roman Josi call-up, the improvement in the last game against the Wild, his concern about the Predators defense, the upcoming road trip, and other topics. A story that was broken by Section 303 yesterday based on player Tweets is now official with he Nashville Predators announcing the recall of defenseman Roman Josi from the Milwaukee Admirals. He was in Nashville this morning and practiced with the team as the seventh defenseman. Black Friday hits for the Predators today with huge savings on Predator tickets as well as other events at the Bridgestone Arena. Go here for all the details. Plenty of speculation about Roman Josi being called up by the Predators yesterday including this investigation by Jeremy Gover and Cody Holland. The fact is that Jack Hillen did not return after being boarded late in the Preds-Wild game on Wednesday night, so he could be ready for a night off against the Wings. 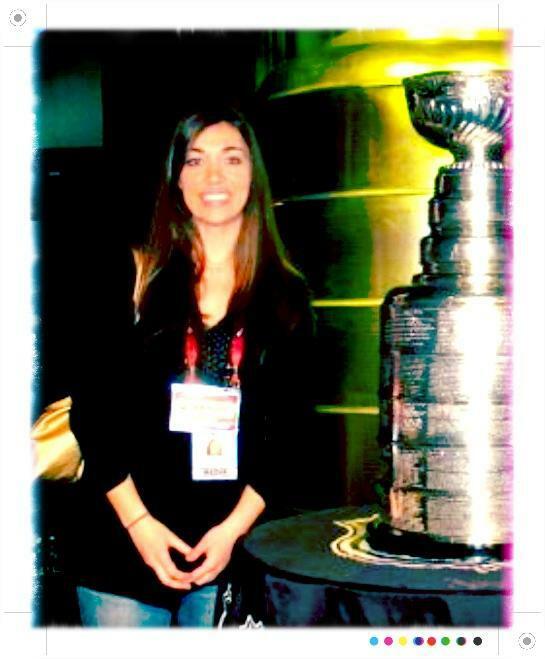 Amanda DiPaolo refutes the garbage being spewed by a hack at a local TV station on the Predators' contracts with the city and a state law that provides incentives to keep downtown Nashville businesses as busy as possible by keeping the Bridgestone Arena booked as many nights as they can. We will have more on the situation over the weekend. Josh Cooper has the details of a surgical procedure that Predators consultant Brent Peterson will undergo next week to lessen the symptoms of his Parkinson's disease. Mark Willoughby has his weekly "My View" where he is more docile than usual as he decides to give thanks for all our blessings. Dave Boehler takes a look at where the Milwaukee Admirals sit on thanksgiving Day. J.R. Lind wraps up a ton of stuff for the week at The Hippodrome, a new weekly feature at The Nashville Scene. Scientists have found the remains of at least 75 whales in the middle of Chile's Atacama Desert. It is a mystery why they are there. Since every NHL team has now played 19 games but no more than 22 games, it is a good point to take a look at the surprise teams at the quarter mark of the 2011-12 season. We have five that are positive surprises and five more that are surprisingly disappointing. Stu Hackel looks at the NHL's Thanksgiving weekend fare including promos for Friday's Wings-Bruins game and the HBO 24/7 preview on Friday. The NHL Float in the Macy's Parade promoting the "Thanksgiving Showdown" looked good and was well received by the crowd and TV audiences. Here is a video. Ken Campbell has a story at the Hockey News about the proposed new arena in Southern Ontario and the litigation that would ensue if the NHL placed a team that close to the Toronto Maple Leafs. Scott Cullen has some trophy picks for the first quarter of the season and a couple of Preds are projected for a trip to Vegas. At NHL.com, Cory Masisak likes Shea Weber and Pekka Rinne for the Norris and Vezina. The Minnesota Wild had plenty of coverage of 51 year old goalie Paul Deutsch's surprise appearance on the Wild's bench on Wednesday night. Michael Russo has a story too. Ryan Porth takes a look at the playoff outlook at the quarter mark at RLD. Dan Rosen has the top nine storylines from the first quarter of the season. Shanny TV was busy on Thanksgiving as the ruled that Zach Bogosian will not receive any supplemental discipline for a hit on Cody Eakin on Wednesday night. There has been no ruling on Andre Deveaux's hit to the head of Florida's Tomas Fleischmann. Deveaux received a match penalty for the play. After a very unscientific poll via a random Tweet, "@PredsOnTheGlass: There really does need to be hockey on TV tonight. Why does the league have to be dark on American Thanksgiving?" It appears that hockey fans in the States that do not care about football would probably watch a match-up between the two most unappealing teams in the league as opposed to Baltimore-San Francisco or Texas-Texas A&M. Bonus: Here's the link to Hot Chelle Rae's appearance on Jay Leno this week. Make the jump to the last segment at 38:20 to go straight to the guy's performance. 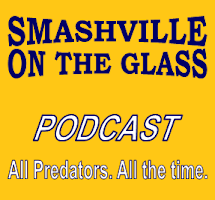 Just for your listening pleasure on a day with no hockey in the NHL, Ryan and I put together a special Thanksgiving Day edition of Smashville on the Glass Radio that featured Preds' Radio guy, Tom Callahan. We covered a wide range of topics as we looked at last night's game as well as the first quarter of the season for the Predators both on and off the ice. First off, Happy Thanksgiving to all of our friends and readers of PredsOnTheGlass! Without y'all's support we wouldn't existent. We hope that everyone has a wonderful holiday season and we are just thrilled to be a part of your daily entertainment and information flow. As a special treat, at 10 a.m. (and always on podcast) Ryan Porth and I will have the "No Life" edition of Smashville on the Glass Radio this morning. We will have an interview with Preds coach Peter Horachek and Voice of the Preds, Tom Callahan will be on live to talk about the Preds at the quarter mark of the season. Looking back at last night's game, you almost wish that Ryan Suter had not pulled the Predators within a goal so that Pekka Rinne's stumble would not have been the difference in the game. Rinne always holds himself to the highest of standards an claimed full credit for the loss. The reality is that he could also claim credit for the Predators' 24 points but doesn't. The Preds are off today and practice tomorrow at Centennial before flying to Detroit for Saturday's game with the Wings. The Minnesota Wild beat the Nashville Predators 3-2 at the Xcel Energy Center on Wednesday night in the Twin Cities. It was the Predators third loss in a row but the team looked far better than the effort the prior night. The game winning goal came late in the third period when Preds goalie Pekka Rinne fell when he was coming out to play the puck, allowing Cal Clutterbuck a shot at what was basically an empty net. The Wild's other goals came from Dany Heatley and Kyle Brodziak while the Predators' goals came from Jordin Tootoo and Ryan Suter. Tootoo also had an assist for a two point night. Josh Harding was the winner in goal stopping 23 of 25 Predator shots, while Rinne lost his third in a row giving up three goals on 30 Wild shots. The Preds headed straight back to Nashville after the game where they will have Thanksgiving Day off. They will practice at 11 a.m. on Friday and then leave for Detroit at 2 p.m. and will hit the ice against the Wings at 6 p.m. CST on Saturday. Niclas Bergfors cleared waivers and has been officially assigned to the Milwaukee Admirals. Bergfors never seemed to play well enough consistently to compete for ice time in Nashville. It appears that it will be up to Kirk Muller to try to indoctrinate Bergfors into the Predator way. Josh Cooper has the game day news from Minnesota and he speculates that it will be Pekka Rinne back in net again tonight for the Predators. Robby Stanley hands out grades to the Predators at the 20 game mark of the season. Dirk Hoag has the postgame audio from Brent Peterson who has harsh words for the team's recent play. Word came out earlier today that no one bit on picking up Niclas Bergfors on a waiver claim. He is now headed to Milwaukee. Fox 6 in Milwaukee sat down with Admirals' head coach Kirk Muller to talk about his first 15 games in the minors. Predators.com has a special feature where you can ask Brian McGrattan a question that he will answer on the road trip blog. SportsNet caught up with Toronto Blue Jays catcher J.P. Arencibia who was sporting his Preds gear in the event level of the Bridgestone Arena yesterday and he shows off his hockey and baseball skills for the camera. Historians have found that Leonardo da Vinci carried a notebook with him at all times and made tons of notes and sketches every time something caught his eye. Last night's game between the Nashville Predators and Edmonton Oilers was one for fans to forget and for the players and coaching staff to etch firmly in their memory in order to avoid seeing a recurrence in the future. In retrospect, it was a "trap" game that no one saw coming. A couple of players admitted to "overlooking" the young Oiler team since presumably it was a whirlwind day where there was a game and then a quick overnight trip to play the team with the best record in the Western Conference in Minnesota before coming home for a Thanksgiving day off. From all appearances, the day off came early in the first period of last night's game when the whole team came out flat. Barry Trotz took Pekka Rinne out of the game so not to expose him to that type of effort in front of him. For the Preds, the only highlights were Jordin Tootoo's first goal of the season, Matt Halischuk's first fight in the NHL, and a goal by Jon Blum in the closing seconds. The low-lights were too numerous to catalog. The Nashville Predators packed up and flew to Minnesota after last night's 6-2 debacle against the Oilers for a quick trip to play the Wild before returning home for turkey and dressing in Nashville on Thanksgiving Day. As opposed to the Predators who are playing on back to back nights, the Wild should be well rested as they last played on Saturday when they beat St. Louis 3-2 in a shootout. The game will be a gut check for the Predators who played their worst game of the season last night. Jerred Smithson pointed out that the team would have to regroup quickly, "We're going to have to or it's going to be another kicking. We're going to have to go back to the basics, and work hard. We can't have any more efforts like that." This will be the first meeting of the year between the Predators and the Wild. Last season, the Predators lost an ugly game at the Xcel Center on Black Friday and then won the next three games against Minnesota. The Predators have had little success in Minnesota over the years going 6-9-5. The task will be tougher this year than in the recent past. New head coach Mike Yeo has guided the Wild to the top of the Northwest Division with a 12-5-3 record. Minnesota is riding a four-game winning streak and have won nine of their last eleven games. The new look Wild are led by Mikko Koivu (3g, 10a), Dany Heatley (5g, 7a), Matt Cullen (8g, 3a), and Devin Setoguchi (6g, 4a). In goal they have had success with both Niklas Backstrom (7-4-2, 1.97, .935) and Josh Harding (5-1-1, 1.79,.945) who currently are in the lead for the Jennings Trophy. It is unclear who will start in goal for the Predators tonight as Pekka Rinne (10-5-4) started last night against the Oilers but was replaced after giving up three goals in the opening period. Barry Trotz indicated that the original intent was to split the starts between Rinne and Anders Lindback (0-1-0) but that he would reassess the situation later today. The Predators will return to Nashville after the game and will have Thanksgiving Day off. They will practice in Nashville on Friday before traveling to Detroit to resume the last four games of the road trip against the Wings on Saturday night. For more Predators previews check out Amanda DiPaolo, Dirk Hoag, Robby Stanley, Predatorial, The Tennessean, and Predators.com. For previews from Minnesota, check out the Minnesota Star Tribune, Pioneer Press, View From the Lighthouse, and Hockey Wilderness. The Nashville Predators had been on a roll, picking up points in ten of the last eleven games and rising into fourth place in the Western Conference. On Tuesday night, it appeared like that team was having a group out of body experience in the opening period against the Edmonton Oilers. The team came out flat as a pancake and was out shot 13-3, and outworked on both ends of the ice as the team went down 3-0 to a very young Oilers team in the first period. So how could that happen? A reflective Barry Trotz was searching for answers. "I wish I could tell you. I guess I could throw the question back at you. There's some days that you come out flat. It's life." "As pros we try to fight through that. You look at the scores around the league... there's parity in the league and there's no reason why one team should beat another six or seven to one when you think there is parity." Trotz continued, "You get a team that gets off to a good start and you go into ebb and flows. I always say that teams go through ten game segments where they can be really good and then they fall off and you have to find a way to fight through the next ten games." Jerred Smithson seemed stunned after the game. "It seems like the game continued from Edmonton. That's where we lost the game... in the first period." Smithson had no more answers for the flat start than the coach. "I don't know. Its got to be mental preparation. We did some decent things in the second and third but it just seems like our starts are slow." "That's everyone in the locker room, preparing better, being a better pro, getting your head into it a little quicker than the second period." The Predators played better in the second period. "We woke up!" Smithson explained. "There wasn't one guy in here who played well in the first period. Unfortunately, it was too late we were playing catch up from there on in." Trotz put the final bow on the game, "When you are not at you best you have to find a way to weather storms and tonight we were unable to weather storms." The Predators left immediately after the game and will play the Minnesota Wild on Wednesday night at the Xcel Energy Center at 7 p.m.
Brian Mullen has notes from this morning's pre-skate at the Bridgestone Arena. Smashville 24/7 has Jon Blum's preview of tonight's game. Paul McCann beats on his favorite whipping boy, Phil Williams. I agree with Paul, the guy is worthless. Dirk Hoag mines a nugget from the Globe and Mail that indicates that Matthew Lombardi may require surgery for the upper body injury that he suffered in the game against the Predators last Thursday. Dirk also noted that Niclas Bergfors was placed on waivers by the Preds this morning. Jonathan Willis, of the Edmonton Journal, ponders whether the Oilers should make a claims for Bergfors. Michael Finazzo takes a look at the next stretch of games for the Predators. Admirals' Roundtable explains why Sunday's win over San Antonio was the most important one of the season. I had no idea when I purchased a new Lenovo laptop that I was contributing to the overthrow of the world by the Chinese computer maker. Ryan Porth discusses the stability that Frankie Bouillon brought to the Predators. The last time the Preds and Oilers played, Jerred Smithson took the team to task over an "embarrassing" game and the team reacted well. Jim Diamond sets conventional wisdom straight with a discussion of the quarter point versus the quarter pole. David Boclair looks at the Predators in the faceoff circle, which has been a disappointment this season. Josh Farrar points out that Ryan Suter is on pace for a career year as he enters free agency. Channel 2 has a rundown of Jordin Tootoo's favorite foods. It's easy to say that it is not available locally. Over at Fox 17, they catch up with Francis Bouillon. Storms rocked a portion of the Pacific Coast Highway and a portion of section of the Paseo Del Mar in the San Pedro area new Los Angeles harbor and here are dramatic pictures of the damage. The Nashville Predators (10-5-4) continue to roll in spite of stubbing their toe against Columbus on Saturday night when they lost 4-3 against an inspired Blue Jackets team that finally broke their 17 game losing streak in Nashville. The Predators are 7-1-3 in the last eleven games and have risen to fourth place in the Western Conference with 24 points. The hope to make it through tonight's game without a regulation loss on the homestand. The Edmonton Oilers (10-8-2) will not be well rested as they lost 4-1 to the Stars last night in Dallas. After a 7-2-2 start, the Oilers have slumped, going 3-6-0 in the last nine games. A Great Moment in Sports Comebacks: Sidney Scores! Whether you are a Sidney Crosby fan or not, if you love the game of hockey, this was an all time great moment in the sport when the undeniable best player in the game today came back and scored on his third shift since January. All you can do is watch and smile. Bryan Mullen takes a look at the Predators' improving health with a big road trip on the horizon after Tuesday's home-stand finale against Edmonton. Nate Rau has more on possible ways for the city to pay the Predators' subsidy in a way that may be more palatable to voters and council members. Dave Lozo has the Predators at number ten in NHL.com's Super 16 Rankings. The Predators have fallen all the way to seventh in Hockey's Future's organizational rankings. That's what happens when you promote from within to the NHL at the rate that the Preds have done in the last couple of years. Dirk Hoag is encouraging everyone to bring used hockey equipment to the game on Tuesday to benefit the local sled hockey program. Go here for details on how to help. Paul McCann gets an early jump on looking at the Preds at the quarter pole. This appears to be a weekly thing now where Milwaukee Coach Kirk Muller hands out grades to the Admirals. The tradition of the president of the United States "pardoning" a turkey each year only seems like it has been around forever. Research shows that George Bush was the first to formally give out a pardon in 1989. The Nashville Predators will open up tickets for the second half of the season during the Black Friday sale starting at 8 a.m. on the day after Thanksgiving. There will be special pricing on Predators tickets as well as other upcoming events. In spite of a heavy schedule for a Monday due to the holiday week, the game of the night is undoubtedly the Pens and the Islanders (6 p.m. CST, Versus) where the whole hockey world will tune in for Sidney Crosby's return. Brian Metzer reports on NHL Home Ice that 250 press credentials have been requested and they expect a bigger media throng than at last years Winter Classic or the Stanley Cup Finals. The world as we know it has pretty much ended with the Minnesota Wild in first place in the Western Conference. Before anyone plans a parade, you need to realize that there are ten other teams withing six points. Puck Daddy chronicles the rift between Alex Ovechkin and his coach, Bruce Boudreau. Elliotte Friedman also comments on the situation. The Flyers unveiled their Winter Classic Jerseys this morning. Russ Cohen has pictures, video, and details. The NHL three stars of the week include Carey Price, Marc-Edouard Vlasic from San Jose, and Flyers rookie Matt Read. Adrian Dater takes a look at the Colorado Avalanche and its coach, Joe Sacco, looking for its identity. They certainly didn't seem to have one last night when Patrick Marleau racked up a hat trick against them. Steve Lepore continues his "Random Cities" series with Billie Jaffe. Jared Loughner is in a special federal prison and is being watched every second of every day as authorities try to restore him to the point where he can be tried for the mass shooting in Arizona last year. As bizarre as his act was, what they are doing with him now may be more off. Robby Stanley looks at the one on one, shooter versus goalie showdown in hockey in an interesting piece. Craig Smith appears tired of talking about Craig Smith. He would rather talk about the team. What a guy! Anders Lindback claims the he is staying shark despite a lack of playing time. There is a good chance that he may get a start soon with back to back games on Tuesday and Wednesday this week and Monday and Tuesday of next week. Josh Cooper points out that the Predators look like a playoff contender early in the season. Dirk Hoag has all the links that we don't at On The Forecheck. It appears that his son is schooling him on who Hot Chelle Rae is and why it's a big deal that they are the best new artist. Mike Finazzo takes a look at the Predator's poor showing in overtime games in the last couple of years. The Milwaukee Admirals played their third game in three days and picked up their second win in two nights as they beat San Antonio 3-1 at home last night. NASA's Curiosity rover is set to leave for it's journey to Mars on Saturday and it is considered the "Super Bowl" of all space quests, on par with the Hubble Telescope. The American Music Awards named Hot Chelle Rae as its best new artist at their show at the Nokia Theater at LA Live in Los Angeles on Sunday night. The band is made up of Nashvillians Ryan Follese, Nash Overstreet, Ian Keaggy, and Jamie Follese. So how is this hockey related? The guys in the band grew up as Nashville Predator fans and attend whenever they are in town. They took in home games during the last week and made the Jumbotron on Thursday. Paul "BizNasty" Bissonette's mom was on hand for the first time she had seen him play in the NHL and he scored a rare goal. Are the Vancouver Canucks the most arrogant and hated team in the NHL. According to Mark Recchi, they are. Also from Vancouver, the Kurtenbloggers say good-bye as they moved on to terrorize the States via NBC's PHT. Ken Campbell followed the Washington Capitals on their recent three game road trip to try to find out what was wrong with Alex Ovechkin. RLD Hockey has the top five NHL Sparkplugs. Here's a personal story from our friend Chris Wassel remembering his father who passed away seven years ago today. Everyone needs to read stories like this every day to appreciate the lives that we have. I was fortunate enough to have the last question (at 3:20 of this video) at the Winter Classic at the morning skate before I had to leave Pittsburgh before the weather delayed game actually started. Here was Sidney's last pre-injury coherent morning skate interview. Craig Smith moved past his "learning moment" empty net miss that USA Today called "the worst missed goal ever" to have a solid game last night, splitting time on two lines, picking up a power play assist, and winning 7 of 12 in the face-off circle. Nate Rau takes a look at the subsidy that the Nashville Predators receive from Metro government to operate the Bridgestone Arena. It could be up for a review at year end. Dirk Hoag had another post on Predators' revenue from "below market rates" bookings. Is Anders Lindback on the trade market? Dirk Hoag has the latest rumor out of Ottawa. I normally don't link to Bleacher Report post due to their poor reputation but we do like stories about Brian McGrattan so this is an exception. The Predators along with several other teams are stocked with "honey Badgers." The Nashville Predators are more than dollars and cents. Folks from other areas are starting to take notice. After a sloppy effort on Friday in a loss to Chicago, the Milwaukee Admirals came back with a solid 3-1 win on Saturday night at Grand Rapids. So it's almost officially the holiday season with American Thanksgiving on Thursday. Here is a video of dancing lights on a house with music by August Burns Red to get you in a festive mood. No one expected that the Predators 17 game winning streak on home ice against the Columbus Blue Jackets would go on forever and it didn't with Columbus pulling out a 4-3 win in overtime last night at Bridgestone Arena. Last season, on three occasions, I went to the rink on game day against the Jackets just knowing that karma would catch up with the Predators and she laid low for the whole season. Yesterday, after looking at all the stats and comparisons of the two squads, I wrote that the game was the biggest mismatch in the series history, but concluded with "I expect a typical Predators-Blue Jackets game that will be nip and tuck and a good possibility for overtime where anything can happen. There will be fights and bad blood as Columbus will try to incite Jordan Tootoo and probably cause Brian McGratten to bloody up his knuckles again." I should have been in Las Vegas instead of on a campus visit with Jackson with that type of prognosticating ability. So anyway, the streak is over and the Preds got a point and still have the third highest point total in the Western Conference. After a day off, the Preds will prepare to end the homestand on Tuesday with Edmonton and then head out to Minnesota, Detroit and for the final road tripWestern Canada of the season. You knew it was going to be a typical Nashville Predators - Columbus Blue Jackets game when the teams had two fights and 20 minutes of penalties in the first 62 seconds of the contest. Three seconds in to the contest, Jordin Tootoo and Derek Dorsett set the stage for the evening with a bout, and then 59 seconds later, the heavyweight match-up of Brian McGrattan and Jared Boll got all the nastiness out of their system early in the game. What wasn't typical, was that Columbus won for the first time in 18 games in Nashville and only the second time since the start of the 2001-02 season, overcoming the Preds' 26-1-(1)-1 record over the last ten years. Is Tonight's Predators Blue Jackets Game the Biggest Mismatch in Series History? It is an understatement to say that the Nashville Predators have dominated the Columbus Blue Jackets in recent years, especially in Smashville at the Bridgestone Arena. Nashville has the longest active home winning streak in the NHL against Columbus, with 17 straight wins. Columbus last tasted victory in the Music City on April 3, 2006 which was the only regulation win for the Jackets in Nashville since the start of the 2001-02 season, giving the Preds a 26-1-(1)-1 record during that period. The Jackets have done slightly better in Columbus but the Predators still hold a 12-6-3 edge at Nationwide Arena since the lockout. Even worse, this year's version of the Blue Jackets have had the worst start of any team in the NHL going 3-13-2 to this point. On Thursday, the Jackets gave journeyman goalie, Curtis Sanford (0-0-1, 0.72, .967) a start and he hung with the Stanley Cup Champion Boston Bruins and carried Columbus to a shootout loss on the road in what seems to have been a real moral booster for the hapless BJ's. With the OT point getter, it appears Sanford earned the start tonight. Sanford has been decent against the Preds in his career, going 3-3-0, 2.64, .888. The Predators will start the hottest goalie in the NHL in Pekka Rinne (10-4-3, 2.12,.936), who appears to be taking a shot at besting his performance last season when he finished second in the Vezina voting. Columbus made several offseason moves that they had hoped would send them back to the playoffs this season. They brought in defenseman James Wisniewski, Jeff Carter, and Vinny Prospal to add to their offense and only Prospal (5g, 9a) has made significant contributions. Carter missed ten games with an injury and Wisniewski was in the press box for the first eight games under suspension. The biggest disaster has unquestionably been goalie Steve Mason, who the Jackets misjudged after he won the Calder Trophy in 2008-09 when he went 33-20-7. Since then, he has gone 47-59-17 and has hit rock bottom this season (3-12-1, 3.63, .875). Compounding the Blue Jackets problems is the fact they they have spent within $1.4 million dollars of the salary cap for a team that is clearly the door mat of the Central Division NHL. Pekka Rinne vs Curtis Sanford, or even worse, Steve Mason. Two best plus-minus players in the NHL in Shea Weber (+18) and Ryan Suter (+15) against a team with only two plus players on the roster. Preds are 6-3-1 at home and the Jackets are 0-7-1 on the road. Nashville has 11 points in November, Columbus has three (eight for the year). Preds 2.8 goals for per game, 2.4 against while the BJs score 2.2 vs 3.6 against. We could go on but there is not enough bandwidth. So what does all this mean? The reality is, very little. The Jackets would like nothing more than to come into Nashville and break the losing streak and disrupt the streaking Predators. Aaron Portzine points out that eight of the starters for Columbus are new to this year's team and have no history with the 17 game losing streak. I expect a typical Predators-Blue Jackets game that will be nip and tuck and a good possibility for overtime where anything can happen. There will be fights and bad blood as Columbus will try to incite Jordan Tootoo and probably cause Brian McGratten to bloody up his knuckles again. Puck drop is 7 p.m. and special POTG discount tickets are available for Columbus as well as all remaining games. Go here and use the offer code preds. The game will be only on the radio locally but the Blue Jackets feed will be on the NHL Center Ice package. Will David Legwand return to the Predator's lineup against Columbus? Amanda DiPaolo thinks that he will. Josh Cooper spoke with Craig Smith about "the miss" on Friday after he was MIA after the game on Thursday. 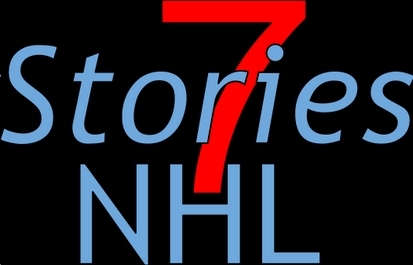 Barry Trotz was right about ending up on all the highlight reels including Deadspin. Corey Erdman catches up with new Predators owner W. Brett Wilson for a Q and A that explains how his interest in the Predators came about..
John Manasso has a new feature on Patric Hornqvist at NHL.com. Robby Stanley gives a good statistical reason why Shea Weber and Ryan Suter are the best defensive duo in the NHL. Kris Martel compares Blake Geoffrion's offensive output last season with the beginning of this year. Mark Willoughby's "My View" suggests "idiot control" instead of "gun control." The problem is that they have yet to learn how to keep guns away from idiots. A Japanese firm has developed a robotic polar bear that will gently touch your face to make you stop snoring during the night. My wife manages to deal with the situation and is not gentle about it. Last night's Nashville Predators win over the Toronto Maple Leafs was not pretty to watch but was a necessarily evil in the long slate of 82 games that make up the NHL regular season. After watching a game on Tuesday against Washington that had to make most folks top ten Preds' games, the game with the Leafs was very ugly by comparison. The first period was dull as dirt, the second a little better, and the last period had several fairly entertaining aspects to it. Brian McGratten's fight was outstanding and Craig Smith's "miss" was a heart-breaker for the kid but was like a train wreck where you couldn't keep from wanting to watch. The bottom line was the "W" and the two points that the Predators needed. Here is our game story from last night and Barry Trotz's postgame presser. We also had a couple of clips of Craig Smith's missed empty netter. Watching this Toronto feed of the video is almost torture. There was no place for Smith to hide as they kept the camera focused on him for an extended period. Trotz did not find it to be a laughing matter and indicated that he would learn from it and that it was something that "I'm sure he will not do ever again." The biggest faux pas in the incident could have been that it was the "Frosty" goal where when the Predators score four goals, all fans in attendance receive a free Frosty at Wendy's. Luckily, 56 seconds later, Matt Halischuk did get the empty net goal to send all 16,135 fans home with a frozen treat. I think young Mr. Smith needs to take Halischuk out for a nice steak dinner. He owes Sergei Kostitsyn too since his shot probably was going in on it's own. Jim Diamond caught up with the young Belarusian for comments. The Nashville Predators played a much slower paced game against the Toronto Maple Leafs than the one on Tuesday against Washington, but the result was the same, a win. This time it was 4-1 as the team improved their record to 10-5-3 and the third highest point total in the Western Conference at 23. Unlike the game with the Caps which was sixty minutes of high speed end to end action, Thursday's game was slower, more strategic, and somewhat disjointed during the opening period. Coach Barry Trotz agreed that the game was different. "There is a feeling out process when you don't see the other team a lot of times and you don't get a feel for them. We talked about how fast their forwards are and how their defensemen are extremely active in the offensive zone. They'll have five guys below the hash-marks in the offensive zone and no one at the point." "Coming into this game, our game plan was pretty simple. If you play solid defense and shut down their big line and you contain their defenseman from their offense, you are going to get some chances. We were able to do that. All our goals came from counters, from playing good defense." The National Hockey League announced today that a drawing will be held for the right to buy the limited number of tickets that remain for the 2012 Winter Classic. Entering is free and can be done at NHL.com. The deadline to sign up is Sunday, November 27, 2011 at 11:59 a.m. ET. Josh Cooper writes about seeing Matt Lombardi and Frankie Bouillon back on the ice instead of in the training room. He also has an update on the Ryan Suter negotiations. Ryan Porth gets Jerred Smithson to preview the Toronto Maple Leafs. Mark Willoughby introduces Brett Wilson to Predator fans. Dirk Hoag has a video that almost rivals "Shanny TV" and asks who will lead the Predators in scoring this year. George Scoville has an epistle on all the speculation surrounding Suter's contract negotiations. J.R. Lind gives thanks to Phil Bredesen for the foresight to put the Bridgestone Arena during his reign. The London Free Press says the Preds are wary of Toronto's team speed. Obviously, they didn't see the track meets in the last two games. In spite of not having any viable manned space vehicles in their stable, NASA is recruiting a new class of astronauts for future missions including a trip to Mars. Here is their flashy YouTube ad that they are using to attract recruits.